Remo Skyndeep graphic drumheads are made using a proprietary ink embedding process into the film while maintaining the integrity of a great sounding drumhead with warm, crisp, vibrant tones. Crimplock Symmetry was created to add flexibility in Remo's manufacturing while increasing available drumhead dimensions. 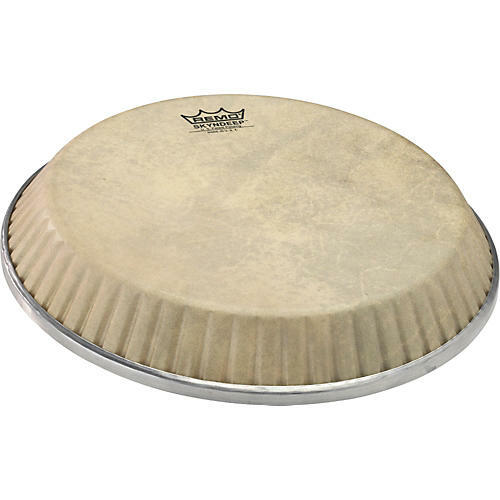 This means, Crimplock Symmetry drumheads can fit more conga drum models from the various drum manufacturers in the industry.